Delivered to their mailbox every other week, the National Catholic Register will inspire, inform and equip your friends and family all year long! Or, subscribe for yourself with this form and you will also receive the free book! *Payment must be received to obtain your free gift. Help them stay connected with the issues of today! A beautiful gift card will be sent to each recipient announcing your gift. Save even more on multiple gifts! Each additional gift just $39.95 for 1 year. A $10 savings! 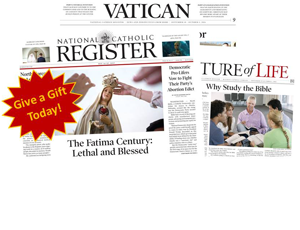 Thank you for giving National Catholic Register as a gift! The first print issue will be on its way soon. Additional time is needed for international print subscriptions. We'll soon be sending you a gift card with which to announce your generous gift. Have questions about your gift subscription? Click here to contact Customer Service or call 1-800-421-3230. There was a problem processing your gift order. Please check your card information and try again, or contact customer service. Thank you. Click here to contact Customer Service or call 1-800-421-3230. No Risk. No obligation. If the National Catholic Register is not for you, you may request a full refund on all unmailed issues. Who else might be blessed by a gift subscription to the Register? Family? Friends? Neighbors? 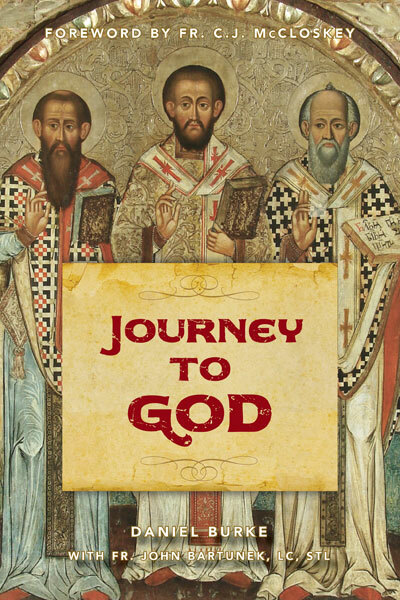 Your parish Priest and/or Deacon? Seminarians? Each additional 1 year gift is just $39.95 - a $10.00 savings! Click here for more information on the National Catholic Register. For Customer Service questions, please visit your customer account page or call 1-800-421-3230. US subscriptions: please allow 3-4 weeks for the delivery of the first issue. Please call us at: 937-528-6180 to get our International and Canadian prices. Copyright © 2017 EWTN News, Inc. All rights reserved.